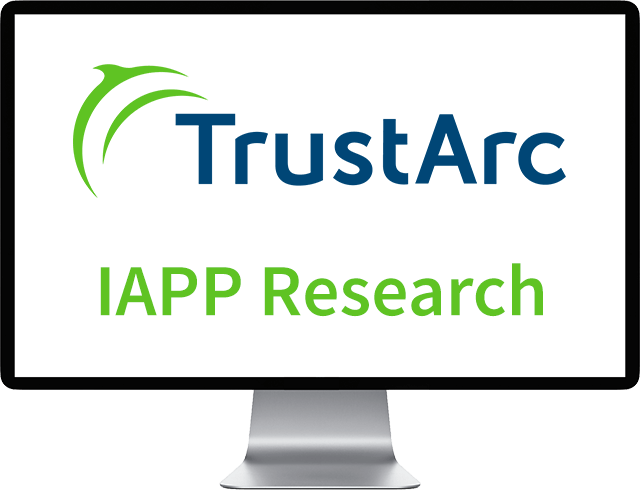 Singapore, July 23​, 2018 - TrustArc, the leading data privacy management company, and The International Association of Privacy Professionals (IAPP), the world’s largest global information privacy community, today announced at the 2018 IAPP Asia Privacy Forum the results of new research that examined how privacy technology is bought and deployed to address privacy and data protection challenges. Surveying privacy professionals worldwide, the findings of the survey show that privacy management technology usage is on the rise across all regions and that privacy teams have significant influence on purchasing decisions for eight of the ten technology categories surveyed. "This global survey is critical in our efforts to better understand how privacy professionals are addressing compliance challenges and the technologies that are being deployed now and in the near future," said Chris Babel, CEO of TrustArc. "Though security budgets remain larger, we’re seeing a marked shift in privacy teams’ influence over technology purchasing decisions. This trend confirms what we’re seeing among our customers -- that they have a growing need for technology solutions to help them manage privacy compliance at scale on a global basis." The EU GDPR and other global and domestic legal reforms, combined with technological advancements, have made the task of operationalizing privacy and data protection vastly more complicated. Businesses now must account for how data is entering the organization, how it is being used, what permissions are attached to it and who has the responsibility for managing it. To address these challenges, the demand for privacy technology continues to grow rapidly. "As the head of an organization that hosts privacy and data protection conferences around the globe, I’m able to intensively track the trends and challenges of privacy professionals," said Trevor Hughes, CEO and President of the IAPP. "The findings from this survey give us a better understanding of how companies are operationalizing privacy and how as an industry we can best support them." To understand the different types of privacy and security technologies that are being used — and by whom, TrustArc and the IAPP surveyed more than 300 privacy professionals in the U.S., EU, UK and Canada. 24% have already purchased Data Mapping and Flow technologies and 21% have purchased Personal Data Discovery tools. These two technologies also top the chart for what organizations are planning to implement at 33%. Privacy Program Assessment and Management software has made significant headway, with 33% of organizations surveyed having purchased it or implemented it and another 32% either planning to purchase this technology in the future or have already purchased it but have yet to implement. While IT and infosec control the budgets for a number of technologies, privacy has influence and provides significant input on eight of the ten categories of technology surveyed, including Privacy Program Assessment, Consent Management and Data Mapping. For incident response, 69% said privacy had input into the decision-making, even more so than the IT team, despite only 28% of privacy teams actually having budget authority. The survey was fielded from May 16 to June 4, 2018 to the IAPP’s Daily Dashboard newsletter, which reaches 37,000 subscribers from around the globe. The results are based on the response from 328 privacy professionals (primarily in-house, legal and consultants) based in the U.S. (44%), EU/Non-UK (23%), Canada (11%), UK (10%) and Other (10%). While all key industry sectors were represented among the respondents, the four top industries were technology, government, financial services, and consulting services. The ten technology categories surveyed were: Consent management, Data mapping and flow, Deidentification/Pseudonimization, Incident Response Management, Network Activity Monitoring, Personal Data Discovery, Privacy information management, Privacy Program Assessment/Management, Security Enterprise Communications, Website scanning/Cookie management. The International Association of Privacy Professionals is the largest and most comprehensive global information privacy community and resource. Founded in 2000, the IAPP is a not-for-profit organization that helps define, support and improve the privacy profession globally. More information about the IAPP is available at iapp.org.